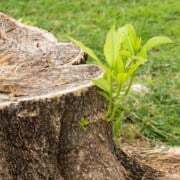 Imagine a tree stump with a small sapling growing up from it. 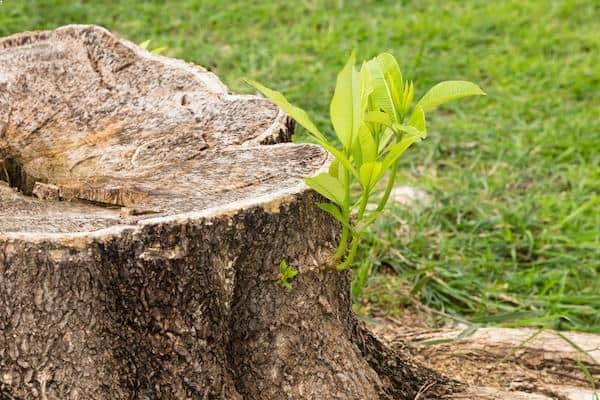 You’ll notice that this tree was chopped down, only to “bounce back” by re-sprouting new leaves! This tree cannot be kept down. It is the model of Resiliency. Why can some people smile through failure? Come through heartbreak stronger than ever? How can I do that? CAN I do that?? Yes, you can. It is a teachable skill . . . a habit to be practiced. We’ve all seen this person . . . the one that falls down then gets right back up and tries again — seemingly unaffected by the fall. This person is resilient; their ability to ‘bounce back’ is tried and true. Some people are just born with it. Others have to train themselves to overcome adversity. And like everything else, there are countless shades of gray in between. Thankfully, if you have a difficult time bouncing back, resilience can be taught! In other words, you can learn it by practicing it. First, you must mindfully face the truth of where you are at; ideally using a mindfulness practice where you learn to strip away judgment of yourself not being as resilient as you’d like. Next, begin to notice opportunities to practice resilience. Begin with easy examples like not letting the stapler being empty throw you off too much. Then build up to more and more challenging situations. Take your time . . . it takes longer for some folks–this is ok, we are all just different on our learning curves. What would your thoughts be if you were being more resilient (Cognition)? How would you have behaved differently (Behaviors)? What would the outcome be (Consequence)? What would the payoff have been (Reward)? In parentheses, I put the Cognitive-Behavioral terms to help you see what we are doing here. The more you repeat this, the better you will get, the better you get, the easier it will be to use the skills. Start with one week of practice, then jot down what you notice. Then do another week. Then another. You will see improvements along the way, and around one month, you will likely notice that things are becoming more automatic!